Posted on March 24, 2010 at 13:57. Last week viewpoint-east.org introduced a new element, a virtual gallery. After Maria Magnusson’s set S:t Petersburg 1995/2010 was published, I thought to myself that it would be nice with a reply, from today’s Petersburg. I started to search and I found Ekaterina Khozatskaya, an Urban Sketcher for S:t Petersburg. Here is her set cha-cha-changes and below you can read her own thoughts. I was born in S:t petersburg 23 years ago and lived there for all my life. I was only 9 years in 1995, so I don’t remember much from that time. I remember my school, coffe with buns, women selling “Pribaltic”-sweaters and wool hoods in front of DLT (Leningrad trade house). Illegal, I suppose. 15 years have passed, Life differents much, but it seems that it has always been like that. People moved from kitchens and backstreets to bars and cafes. Sushi restaraunts on every corner, coffe shops, and italian restaraunts, english pubs and swiss bakeries. Hypermarkets, and shopping centers: “Red triangle” boots replaced by hundreds of foreign companies. It’s not a problem to go abroad any more. In the 90’s it was hard to imagine that computers, internet, mobile phones would exists in almost every house. But today it is a fact! Of course it’s not for everyone and you can still meet lots of people like on Marias photos, which are not victims of fashion, and lots of shops without food, still. But a lot of things have changed. As you can see in my sketches. Posted on March 22, 2010 at 09:25. 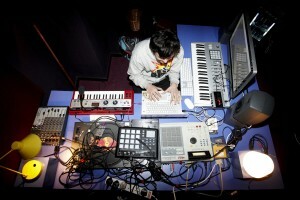 The annual Red Bull Music Academy in London has just finished and one of the participants was Sasha Dza, the how2make frontier that previously been highlighted here at viewpoint-east.org. So I connected to him, in London, to ask about impressions from the two weeks long experience at RBMA. Sasha Dza: RBMA is a really heavy and nice experience for all participants. Every time, when I’d meet some one who has been a participant at RBMA before, they have told me to remember only one thing, Get a lot of sleep before academy! Because while you are there you will not get any sleep in two weeks!. And that was really true! Every day implies intensive studio work, lectures and live chatin’ with famous musicians like Hudson Mohawke, Roots Manuva, Busy P, Dj Zink, Marco Passarani, FlyLo (Flying Lotus) and many more. It was also very cool to collaborated with another participants, such as Ad Bourk, Homeless Inc., Los Macuanos, Nando Pro and Hudson Mohawke. This guys gave me crazy energy and new inspiration! RBMA has finished last week, but I have stayed in London for a few day to enjoy new places, museums and people. Posted on March 22, 2010 at 07:50. Maria Nilsson has seen the movie Border by the Armenian director Harutyun Khachatryan. In the beginning of February the award winning Armenian director Harutyun Khachatryans movie “Border” was shown on the Gothenburg Film festival. 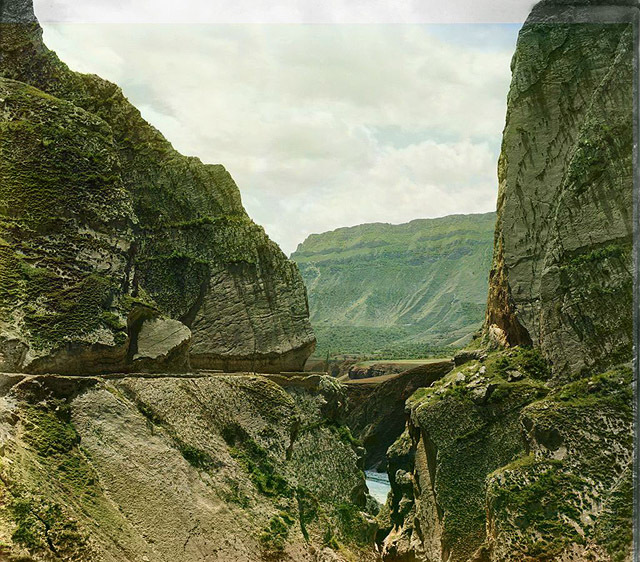 Border is set against the mountains of South Caucasus and the unresolved conflict between Armenia and Azerbaijan over the region of Nagorno Karabach in the south Caucasian mountains. This war stricken parts of the world has suffered greatly the last twenty years. In the centre of attention in this very slow and scarsly spoken movie is a small mountain village and its inhabitants. The camera is slowly capturing the change of season while the conflict is continuously present in the shape of barbed wire and sirens surpassing all other noises. The war in Nagorno Karabach was yet another war that broke out in the aftermath of the fall of the Soviet Union over territories that was close to impossible to pronounce for Western journalists. The war in Nagorno Karabach would however prove to be unusually bloody and drawn out. Between 1991 and 1994 over 35000 is believed to have been killed in the fighting’s and many times more were forced to leave their homes. The background of the conflict is found in historical antagonism, Stalin’s power play and the control vacuum opening after the dissolution of Soviet Union. Nagorno Karabach with an Armenian majority was 1921 by a direct decision from Stalin transferred from the Armenian SSR to the Azerbaijan SSK and consequently during the following years a large number of Azeris settled in the Nagorno Karabach area. During the highpoint of glasnost and perestroika the local parliament of Nagorno Karabach voted for the region to be transferred to the Armenian SSR which was highly opposed by Moscow, a resistance that was keep until the fall of the Soviet Union. Nagorno Karabach republic (NKR) or Mountainous Karabach as the area is also called, declared itself independent in 1994, the same year as the cease fire was brokered. Today the region is not recognized by any other state but still keeps its own parliament, president, currency the cease fire is still only a cease fire and retained by the several thousands of soldiers on both sides of the barb wires. Nagorno Karabach would not survive with out the economical, military and societal support from Armenia and the ties between the two are strong although combined with a sense of a distant and occasionally problematic and stubborn relative. The first decade of alleged independence have not been an easy path for Nagorno Karabach. Not unlike similar regions for example Transnistrien (Moldova), Adjarien (Georgia) the declared independence has brought with it a corrupt, sometimes straight out criminal, domestic politics. Travelling in Nagorno Karabach means travelling through the landscape that H Khachatryans so precisely paints in the movie Border. The narrow road after turning left on the main road leading from Yerevan to Iran is ironically called a highway but could easily be taken for a village road. Climbing up the Caucasian mountains and further into the Nagorno Karabach area it is difficult to understand how two cars could ever meet. The incredible Caucasian mountain that has not only proven to be highly accommodating for beyond cruel guerrilla wars but also creates one of the most inaccessible areas in the region. The first impression of the landscape and reappearing in the movie is the lack of visible human lives and the breathtaking sights. Houses are randomly placed down the slopes of the mountains, coming closer it is visible that only a fraction of the houses are occupied while the majority of them still appears to have been left in a hurry under fire of hostile troops and often with snipers holes left on the house shells. Judging from the reconstruction process the cease fire could have taken place fifteen days ago, not fifteen years ago. As in any war stricken society there are instances coming across as oddly out of place. In Nagorno Karabach it is the BMW cars trafficking the road in sharp contrast to the ladas and muscovite, the giant football stadium right in the centre of the city and the village Vank located a few miles outside of the main city Stepanakert. 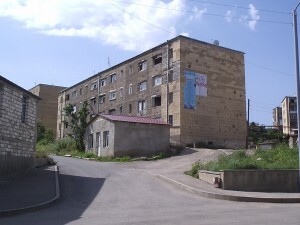 Vank contained as many others villages a mixed Armenian and Azeri population before the war but in the ethnical cleansing during the war all Azeris left the villages. A now Russian based oligarch was born in the village of Vank and has donated large sum of money to the reconstruction of the school which now must the only school in Nagorno Karabach with an adjoining swimming pool. The slow moving film border capture both the harsh living conditions for the inhabitants left to the mercy and ever changing conditions of nature. It is cold, it is raw, it is tough and transfers a sense that the people are too preoccupied mere surviving to shed any time on unnecessary small talk. Ending with a devastating fire on the eve of a young couples wedding the movie communicate a message of hopelessness and resignation transcending from the unresolved conflict where the lack of permanent peace agreement is preventing financial and societal improvements. Until this can be accomplished the next fifteen years appear to be following the same track as the preceding fifteen. Film stills from the movie Border. You can also read a review of the movie Boarder at Kinokultura. Posted on March 19, 2010 at 09:00. We continue today with Part II of Anders T Carlsson’s essay “The Russian-Chechen conflict: Factors that triggered the conflict to become an armed conflict in 1994-1996 and then again in 1999”. Don’t forget to read Part I. 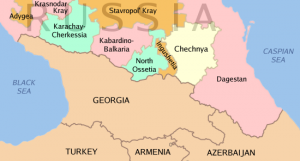 Political transitions is a triggering cause in the Russian-Chechen conflict. The Chechen decision to declare independence was taken by Dzhokhar Dudayev after being elected president in 1991. The Russian state had no intention to recognize this unilateral declaration. These two positions constitute the conflict over the Chechen territory. The decision to start war in Chechnya in 1994 was taken by the Russian president Boris Yeltsin. In 1999 it was taken by the prime minister Vladimir Putin. These historic facts support the theory that political decisions most often are the proximate (triggering) causes for war. It is also important to state that the decisions by the leaders were taken due to underlying political (the urge to stay in power), economic and military-strategic factors. From the Chechen declaration of independence in 1991 Dzhokhar Dudayev and Boris Yeltsin had a long and hostile arguing, both attacking and insulting each other. This increased the hostile situation. The personal antagonism and inability to raise above this is in my sources said to be the reason for why the conflict could not be solved by negotiations like it had been done in Tatarstan and Bashkortostan. In 1994 the ultra nationalist leader Zjirinovskij´s party had won 25% of the seats in the Duma – the Russian parliament. Yeltsin is said to have had ideas of a ”short successful war” to improve his popularity among the nationalists to be able to secure his power in the next presidential election. Intensifying leadership struggles is an important triggering cause explaining why the invasion of Chechnya was launched in December 1994. By the time for the campaign for the 1996 presidential elections the war was a heavy weight on the shoulders of president Yeltsin who gave order to negotiate a ceasefire. As a result the Russian troops left Chechnya but it was only a tactical and temporary withdrawal. 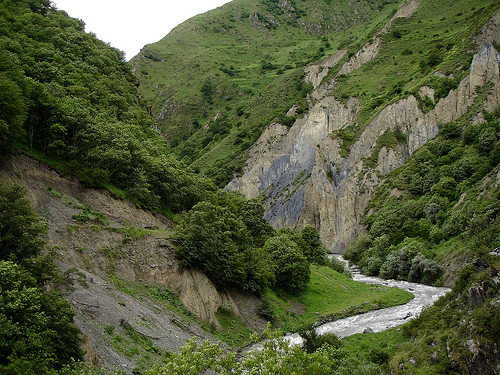 View of a gorge in the Caucasus Mountains in Chechnya. During the summer of 1999 Chechen fighters went into Dagestan proclaiming to fight for the establishment of a joint Muslim state in Northern Caucasus. As a response Yeltsin fired the Russian prime minister Sergej Stepasjin and replaced him with the head of the internal security forces (FSB) Vladimir Putin. Putin declared that Chechnya was going to be subdued with violence and launched a new military offensive. This second war was supported by controlled reports in Russian national media and made Putin widely popular within Russia. When Yeltsin declared his resignation at New Years Eve 1999 he appointed Putin as his successor. This shows how political transitions and agendas has significant influence on conflicts. In March 2003 a criticized election on a new Chechen constitution took place and in October the by Putin proposed candidate Ahmed Kadyrov was elected president. From this on Moscow have appointed new president candidates when the former have been killed. The present Chechen president Ramzan Kadyrov, that was elected in what has been called a charade election in 2007 has set up a strong militia “the Kadyrovtsy” to wipe out all sessessionists and revenge the killing of his father – who was assassinated.while being president of Chechnya. Ramzan Kadyrov is the head of the pro-Putin United Russia party that rules Chechnya today. The rule of Kadyrov has made the eliminating of the “separatists” a local pro Russian Chechen issue. Human Right Organisations condemns the methods used by the Kadyrovtsy. In April 2009 it was announced from Kreml that the military operation was ended as a result of the improved situation in Chechnya. This has also lead to growing inter-group competition and violence. Ultra nationalistic and fascistic movements has grew to such extent in Russia that it is regarded as dangerous for people with ethnic background in the Caucasus or Central Asia to live in Russia. They are targets for violence, extortion and some times even murder. The prevailing racism in Russia is part of an influential exclusionary nationalistic ideology that is also used by Vladimir Putin for his own purposes. The racist perception of Chechen and other Caucasian people makes it possible to wage extreme violence and war on these populations. This shows that increasingly influential exclusionary ideologies is part of the explanation what makes internal war possible. Before the wars Chechnya was a transit country for oil and gas pipelines from the oil rich Caspian Sea region to the Black Sea Cost. It was also a country with own but fading oil reserves. It was of economic and strategic significance for Russia to control the area mostly for the sake of the pipelines. As a result of the first war the infrastructure in Chechnya was destroyed and due to the isolation from the world and the Russian politics the infrastructure was not rebuilt. It was extremely hard to make an income and as a result violence and criminal actions like kidnappings and theft increased and spilled over into neighbouring states. This further isolated Chechnya and made the situation even worse. These mounting economic problems is also an explanation of what triggered the war. Map of Chechnya. From wiki. The racist perception of Chechen and other Caucasian people that many Russians holds make it possible to wage extreme violence and war on populations like the Chechen. The intensifying patterns of cultural discrimination from the beginning of the 1990´s is also a triggering cause that makes the wars possible and accepted within Russia. A series of bombings of civilian houses in Moscow and other Russian cities in September 1999 were said to be the deeds of Chechen terrorists and gave Putin a broad support for starting his military offensive in 1999. There are accusations that FSB were indeed responsible. However, the bombings was used to explain why the war in Chechnya was necessary. This is just one example of how ethnic bashing and propaganda are used for the purpose of gathering support for why conflicts should be solved by military means. The politically initiated propaganda in support of the war is made possible and has a strong impact because the media in Russia is controlled by the state. The state controlled TV-channels are the main source of information for the vast majority in present day Russia. The state controlled media are regarded as tools for the ruling group to maintain power. It is important to state that the decisions taken by the leaders were due to underlying political (the urge to stay in power), economical and military-strategic factors. The historical background with a persistent resistance and almost permanent warfare from 1783 to 1943 and the following deportation of the Chechen population has created experiences and memories that forms the notion of the other as a permanent enemy. The Russian hard-core decision to dominate the Caucasian territory and the Chechen hard-core resistance to this is the reason why the conflict started and has continued. War might maybe have been avoided like in Tatarstan and Bashkortostan if Boris Yeltsin and Dzhokhar Dudayev had not been driven also by personal antagonism. This text is also a result of a dialogue with David Johansson in the process of writing. Michael E. Brown, The Causes and regional Dimension of Internal Conflict, in Michael E. Brown, (ed.) The International dimension of Internal Conflict, London, 1996. Svante E. Cornell, Russia’s war with Chechnya, in Svane E. Cornell’s Small Nations and Great Powers. A Study of Etnopolitical Conflict in the Caucasus, Avon, 2001. 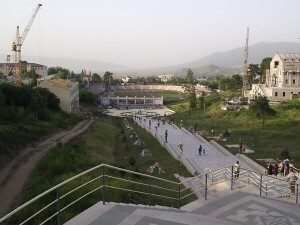 Åsne Seierstad, Ängeln i Grozny, Smedjebacken, 2008. Ebba Sävborg, Tjetjenien – krig i tvåhundra år, in Världspolitikens dagsfrågor, No 2, Stockholm 2003. Posted on March 18, 2010 at 09:00. With help from Anders T Carlsson viewpoint-east.org has the possibility to investigate factors for the Russian-Chechen conflict. Anders T Carlsson is a project manager with a lot of experience from culture exchange projects in Georgia. He has also worked in Russia a few months. At the moment he works as Programme Coordinator for the Göteborgs Dans & Teater Festival. This text focuses on the Russian-Chechen conflict and suggests what factors that triggered the conflict to become war in 1994-1996 and then again in 1999-2008. An analytical model, by Michael E. Brown, that has gathered a set of underlying and proximate causes of internal conflict has been used as the analytical tool. This article is divided into two parts and Part II will be publish tomorrow. What makes a conflict become an internal war? You have probably heard the story before as Michael E. Brown tells it: – in a weak state a risk complex is created by irresponsible leaders driven by intensifying elite competition in a context with different ethnic groups with problematic historic relationships and economic problems. In such a context a rapid change in any important field increases the risk that the conflicts in the area escalates into war. What finally start the war, due to Brown and the instrumentalist perception, are decisions taken by political leaders. Sometimes though mass-triggered riots is the triggering cause. But that is much more rare. In this text we are reading the Russian – Chechen conflict with the two analytic tools provided by Michael E. Brown: they are a list of underlying causes that can turn into triggering (proximate) causes just by the changes being rapid. The factors are structural, political, economic, social and conceptual. Brown also urges us to analyse if the conflict is internally or externally driven and in both cases by whom – the elite or the masses. Conflicts are extremely complex and when they have emerged into killings they become horrible and extremely hard to solve. As a help to keep the balance and hope it is essential to remember that most internal conflicts do not escalate into war. In Post-Soviet Russia for example the conflicts in Tatarstan and Baskortostan was solved by negotiations. Why that not happen in Chechnya can be understood by reading this text. How come that people in a conflict area that are pushed into war by their leaders are prepared to participate in and perform the horrors of war? Browns model does not explain the psychological aspects that make internal war possible. The scholar Stuart J. Kaufman investigates and explains this. His work gives us a good complement for our understanding and for what actions that could be taken to prevent war. Even though this text is limited to analyse the Russian-Chechen conflict using Browns analytical model the work of Kaufman is important even though it is not present in this text. Just a short historical background before we continue. Since Tsarist Russia invaded Chechnya there has been a persistent resistance and almost permanent warfare from 1783 to 1943. In 1943 the Chechens were mass deported to Siberia and Central Asia or killed on the spot if it was to difficult to move them. The Chechens were able to return after the death of Stalin. The experiences and memories of hundreds of years of war and the horrors of the deportation that killed a third of the Chechen population sets the historical and psychological background for the two wars that were fought from December 1994 to august 1996 and then 1999-2006. The two latest wars killed over 100 000 Chechens – about 10% of the population at that time. Michael E Brown argues that rapid changes transform permissive causes to proximate (triggering) causes. In the case of the Russian-Chechen conflict the collapsing state is the most important structural factor. When the Soviet Union collapsed in 1991 Russia became an independent state. In Chechnya the communist leader Doku Zavgayev was overthrown and Dzhokhar Dudayev won a presidential poll and proclaimed Chechnya independent of Russia. The unilateral proclamation of independence was only recognized by Afghanistan. The new Russian state was weak. It took over a bankrupt entity with a bad infrastructure tormented by merciless inner strife for power and economical gains. The parliament blocked the possibility for the president to start a war in Chechnya. When Yeltsin had won the struggles for power and was supported by a new constitution with a strong presidential power he choose to invade Chechnya in December 1994. The Caucasus area has a significant importance in the military agenda of Russia since the 18th century. The collapse of the Soviet Union was a major military-strategic set back for Russia on its southern border against Iran and Turkey. It also created a new threat against the Russian dominance in the area when the military equipment of the Soviet Union was confiscated and used by the Chechens to establish military capacity to protect the contested territory. The three newly independent states in Southern Caucasus and the situation that Chechnya was left to govern itself between 1991 and 1994 changed the intra-state and international military balances drastically in the Caucasus region. The Russian political agenda has been very clear since 1994. Restore dominance. The war in Chechnya was also a result of this agenda. Another proximate cause that Brown presents is changing demographic patterns. When Chechnya declared independence the vast majority of the Russian population left. The Russians were to a large extent skilled labour like doctors, engineers and teachers. This increased the economical crisis in both a short and long term perspective and was part of the destabilisation process. Tomorrow you can read Part II of this article. Anders will then continue to highlight Political factors, Economical and Social factors and also Conceptual and Perceptual factors that triggers the conflict of war and his finial conclusions.